A folk inspired autumnal leaf design with mica and metallic highlights to add depth and dimension to your surroundings. Red, orange, and brown motif on a cream background with gold highlights. With its textured surface, this wallpaper is easy to hang and provides a tactile finish. 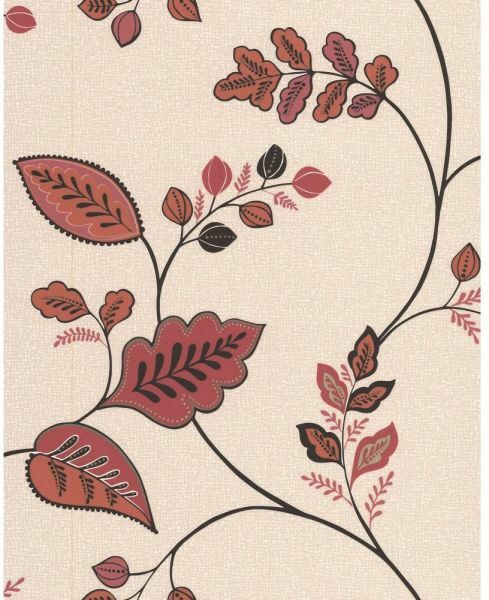 This wallpaper is suitable for most rooms with the exception of kitchens and bathrooms.